Channels are a tool for broadcasting public messages to large audiences. ... When you post in a channel, the message is signed with the channel's name and not yours. They are not activity in channel. That mean is : they Do not see your channel posts. NO they are not none-drop, members will leave the channel. 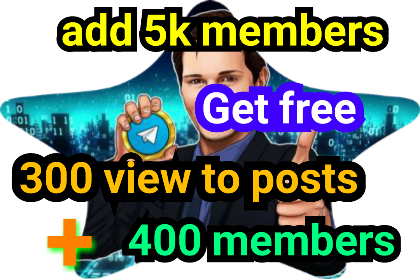 Add 5,000 members to telegram channel is ranked 5 out of 5. Based on 190 user reviews.